Are you interested in becoming a racehorse owner with us? Patrick Chamings believes that racehorse ownership should, above all, be fun. Patrick and Phillippa have produced a number of serious contenders from a small team, having won the Grand Military Gold Cup at Sandown Park 3 times and trained black-type Listed, Group and Royal Ascot winners. 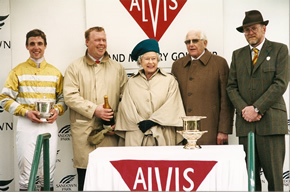 A consistent level of winning performances has been maintained over a number of years, but whatever the outcome of a day at the races, owners can be sure of an enjoyable day out. Whether you are an owner-breeder, a single owner or part of a syndicate or racing partnership, you can be sure that Patrick and Phillippa will do their utmost to ensure that you enjoy your time with them as owners, both on the racecourse and at Inhurst Farm Stables. Visitors to the yard are always welcome to see the horses and enjoy a hearty breakfast or maybe hatch a plan or two over a good lunch at the local pub. Patrick and Phillippa are happy to entertain local racing clubs and those who are interested in seeing how a racing yard works behind the scenes. Patrick regularly has a number of horses for sale and lease, or shares in partnerships and syndicates available. 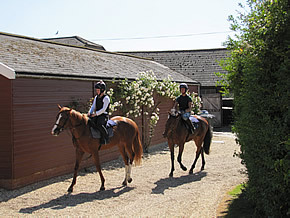 Very popular Foxford House Partnership has a few shares still available, six horses at exceptionally good value. Please get in touch to discuss your requirements - if Patrick doesn't currently have anything that suits you, his wide network of connections in the bloodstock world will ensure that he can find the horse you want, either at public auction or through a private purchase.